Click here for Electic Circuits - StudyStack tasks. Practice Long Answer Questions ten questions with guidance notes and some suggested points for answers. 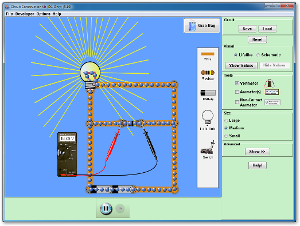 Or click here to download the free circuit simulation java applet shown above. Use this to measure currents and voltages in series and parallel circuits; to learn about the resistance of components and much more. This Walter Fendt animation helps you to understand how a motor works. This Magnet Lab animation looks less schematic and more like 'real life'. 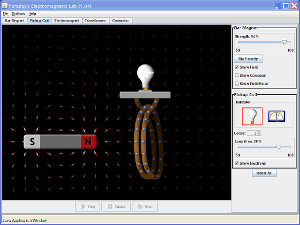 Or click here to download the free circuit simulation java applet shown above. Use this to learn about the induction, generators and transformers.